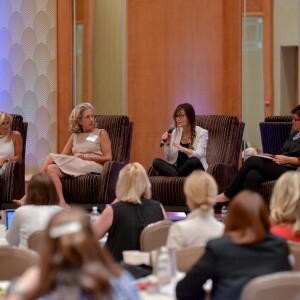 Continuing the theme from our special edition of Inner Circle last Friday, we’re committed to providing our readers all of the great content that was presented during the Women in Retail Leadership Summit last month in Miami. To that end, we’ve uploaded all of the slide presentations from the Summit speakers. So if you were at the event, take this opportunity to review what you may have missed while you were furiously taking down notes. And for those who weren’t with us in Miami, here’s your chance to catch up on what you missed (it was a lot!). From Hudson’s Bay Company’s Lulu Ge’s insights on aligning your organization for success to The Grommet’s CEO Jules Pieri’s tips on discovering the next big thing to Deckers Brands’ Sarah Comstock’s review of how to create a women-centric organization, the Women in Retail Leadership Summit featured an abundance of great content and takeaways that we hope you can apply to your own businesses. Enjoy!